Follow the White Bunny: Workshop coming up in 2016! Workshop coming up in 2016! 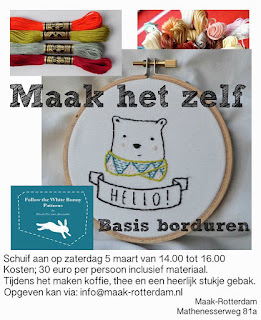 Next year I'll be hosting an Embroidery workshop for Beginners in Rotterdam (the Netherlands) at a local gift & craft shop called 'Maak' (which means 'Make') . I know that's probably halfway around the world for most of you, but just in case you live within travel distance of Rotterdam: come join me! 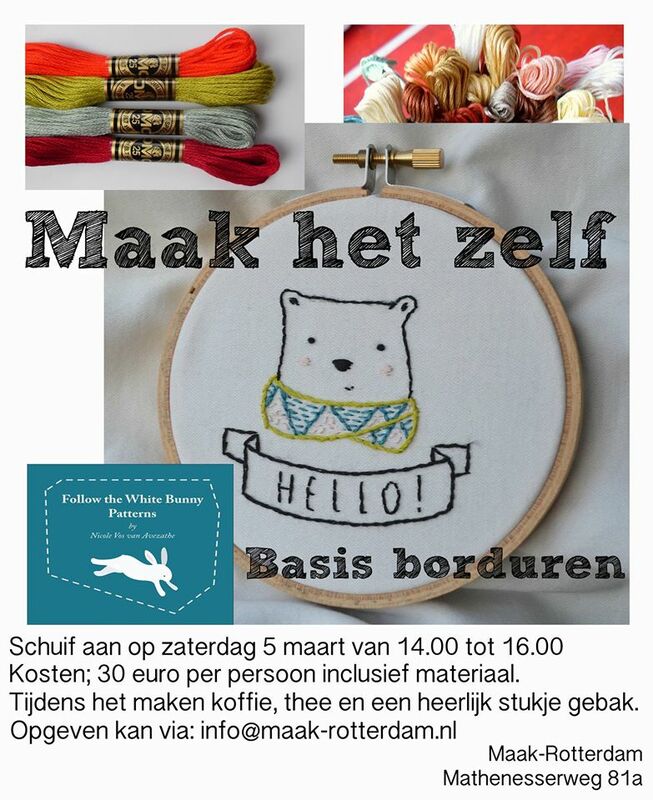 The price is 30 euros and coffee (or tea) cake and a kit with supplies and instructions are included (yay!). It's a workshop for beginners, but if you happen to be a little more advanced in your embroidery skills, I'm happy to help too. I can also give instructions in English, so please feel welcome too if you don't speak Dutch and think you can bear my Dutch accent. 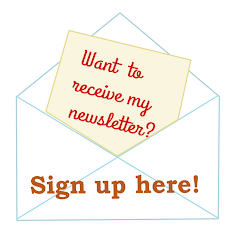 :) Mail to the ladies at 'Maak' to sign up for the workshop. Oh, wouldn't I love to join you in the class! Alas, I live in Portland, Oregon ~ too far to just pop over.